Arriving Soon This item is currently sold out but more are expected soon. Place an order now and it will ship as soon as more arrive. 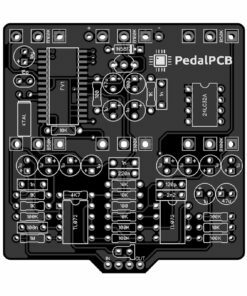 The PedalPCB EZ FV-1 brings the power of the Spin FV-1 IC to stripboard, veroboard, and breadboard projects. 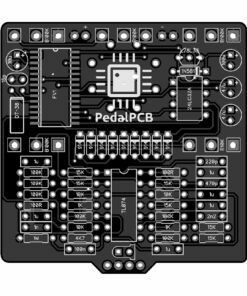 No SMD soldering is required, the IC is already mounted onto a convenient through-hole DIP-28 sized adapter PCB. 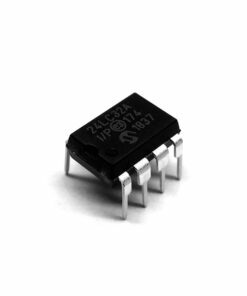 The SPN1001-FV1 from Spin Semiconductor is a complete reverb solution in a single IC. With integrated stereo ADC and DACs, the FV-1 can be treated like any other analog component in your products signal path. 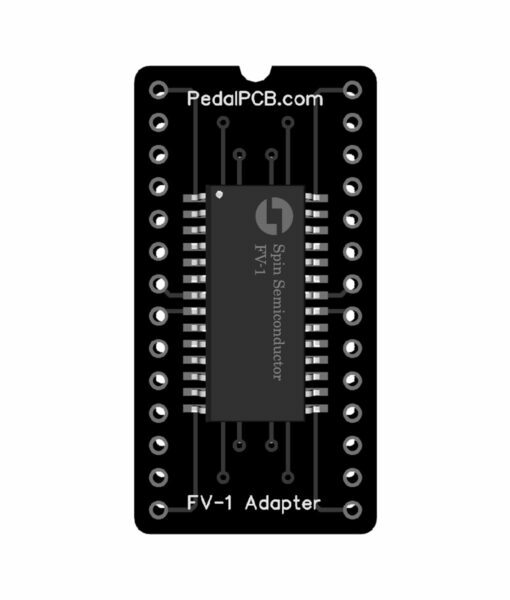 The FV-1 can access a total of 16 programs, 8 are built in to the internal ROM and the designer may elect to connect a serial EEPROM with 8 additional programs. 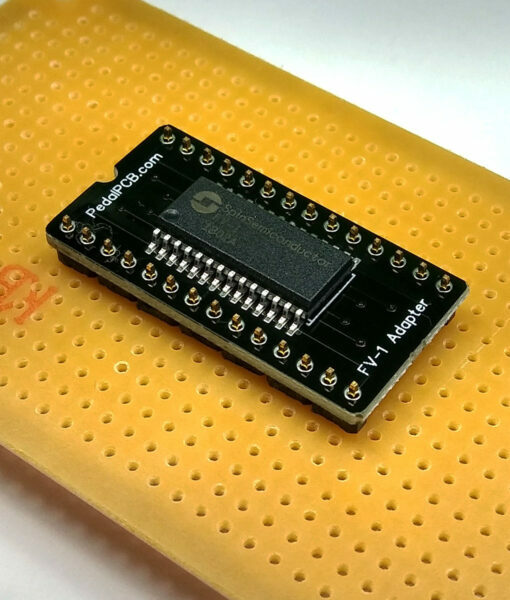 By using an external EEPROM, the designer can create a custom program set without the need for a microprocessor in the system. 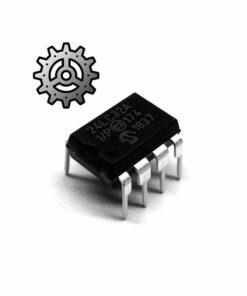 With 3 potentiometer inputs, programs may have real time variable parameters such as decay time in a reverb, rate and depth in a chorus or frequency in a filter. These inputs are available as coefficients to your program and may be used independently of each other. 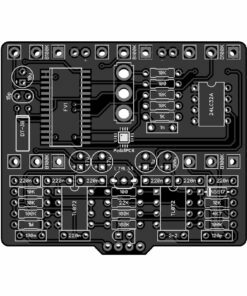 The rich instruction set allows users to program effects of all kinds. 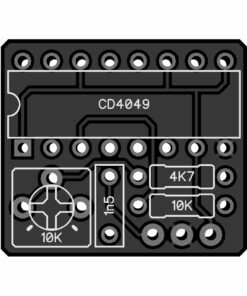 With instructions like LOG and EXP, users can easily program audio expansion and compression routines. Integrated digital LFOs and ramp generators allow for programming chorus, flange and pitch shift.